High temperature filter can be used in baking machinery in electronics, such as painting room for automobiles. High temperature frame is mostly made of SUS material, Galvanized steel and aluminum board. 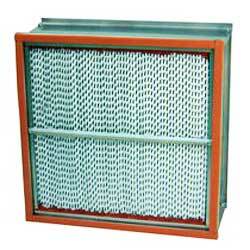 High temperature filters are durable under high condition to provide a clearified and satisfied environment.